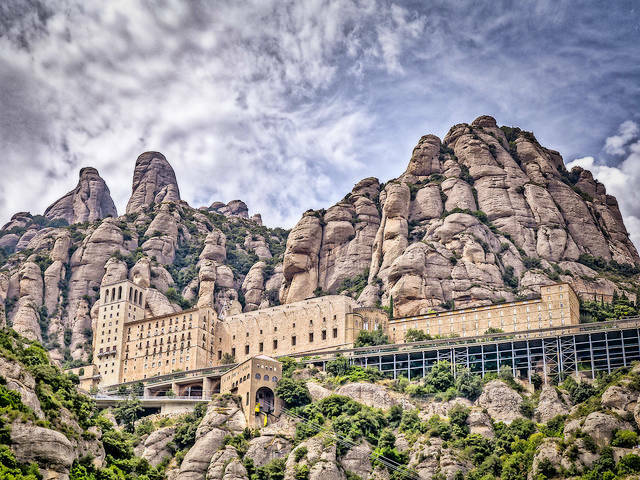 Located in this famous mountain, we find the Monastery of Santa María de Montserrat. This Benedictine monastery is visited by thousands of people every day, who come to make their prayers to the Virgin of Montserrat, nicknamed “La Moreneta” because of its dark skin color. Legend has it that the Virgin has this color due to the smoke of a large number of candles that for centuries were lit before her image. There are a lot of ways and combinations to get from Barcelona to Montserrat. Of course, the first option would be the car. It is not complicated, and all GPS systems have the location registered. In addition, the Montserrat Mountain has a free parking with 900 spots for cars and buses. You can also arrive at Montserrat with the FGC trains from Barcelona and other towns around. The Virgin of Montserrat is beloved in Catalonia, to the point that she has her own anthem, entitled “Virolai”, also known as “Rosa d’abril” in reference to the first verses. It is a popular song that emerges from a Jacinto Verdaguer poem, the most important and representative Catalan poet of the 19th century. This song is taught to children in schools and is usually sung in choral schools, choirs, and even popular festivals. Montserrat mountain is a great visit since it combines nature, history, and exercise. Is one of the most beautiful natural areas in Catalonia, and you can feel the tranquility and solemnity of the monastery. Once you have visited it, there are several routes in Montserrat that you can take to explore the surroundings and find the different chapels hidden in the mountains. Here is the list with the 8 best things to do in Montserrat. If you are going to Montserrat from Barcelona, you can go to the Plaza España metro station, where an FGC Train (Ferrocarrils de la Generalitat de Catalunya) passes every hour. With the train, you’ll stop at the bottom of the mountain, and then you must decide how you would like to get to the monastery. 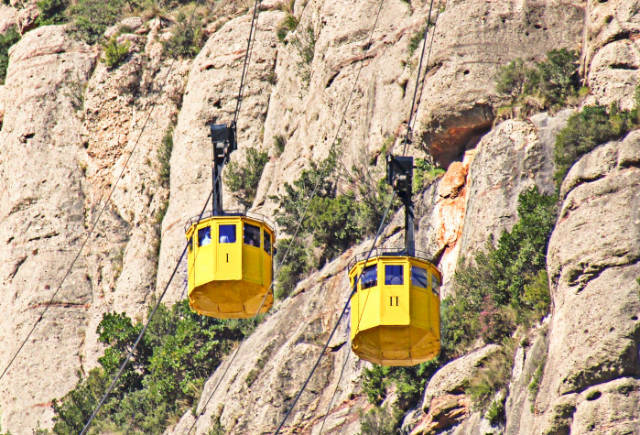 You have two options: the rack railway or the ‘Aeri de Montserrat’ cable car. The first is a regular train, meanwhile the second will take you on an impressive trip over the valley of the Llobregat River, up the mountain and to the Monastery of Montserrat. A good thing about the train is that it allows you to fully enjoy the natural environment since it connects the FGC Station in Monistrol de Montserrat with the monastery. The trip takes 15 minutes and the usual frequency for the trains passing from Monistrol Vila is 20 minutes. On the way to the monastery of Montserrat, there is this great market where they sell typical products only. In their stands, we find typical Catalan products of the area, to the point that the same person that farmed it is now selling it to you. What can be more natural than that? Natural, artisan and direct trade. Among its variety of products, we will find typical products such as oil, liquor, honey, cheese, and cottage cheese. The Montserrat Museum has the artistic and archaeological heritage of the thousand-year-old Abbey of Montserrat. It has permanent exhibitions that show the history of the Monastery and the most representative artworks of each period, including works by important artists such as Pablo Picasso or Salvador Dalí, among others. It also offers traveling exhibitions, chosen by the best experts. If you like art and you have time, it is worth visiting. Admission price: Adults: 7€, Students, pensioners and groups (minimum 20 people): 6€, Children (from 8 to 16 years old): 4€. The monastery gives you the opportunity to see the Virgin Mary statue up close by entering the chapel. To do this you have to queue with the rest of the people since only one person is allowed inside the chapel at once. Tradition says you must touch the ball she carries in one of her hands and then make a wish. Many students touch it during exams periods, or people with health problems, love or money. 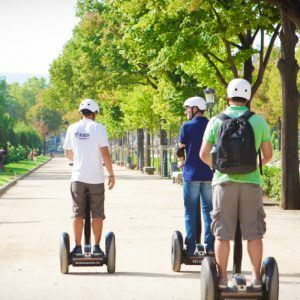 A good way to get to the monastery is going through the Camí dels Degotalls. It is an achievable road, ideal to do with children. To get there, you must go by road, following the direction of Monistrol. The route is decorated with evocative majolica sculptures, plus trees such as oaks, yews or grasses. The Escolania de Montserrat is another typical Montserrat symbol. It is a choir entirely composed of 14 years old kids. This choir is one of the oldest in the whole country, and there are files from the 14th century that document its existence as an institution. The boy’s choir is internationally known. In their website you can find the schedule for their live performance in Montserrat, in addition to the concert tours, they often do. The road that goes to Santa Cova from the monastery is one of the prettiest, shortest and easiest to visit in Montserrat. However, you can always use the funicular train if you happen to be out of breath. The road ends at Santa Cova, a small chapel where, according to the legend, the Montserrat Virgin statue was found for the first time. 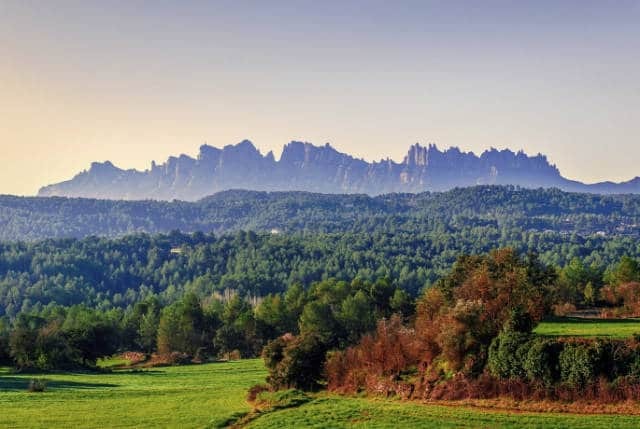 Montserrat is one of the most popular climbing spots in Catalonia and in the whole country. The reason for its popularity in Spain is because of its size: 7 kilometers long and 2.5 kilometers wide, with more than 5.000 open roads to choose. 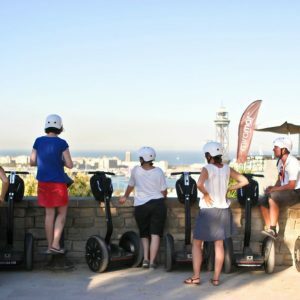 In addition to this, it’s located in almost the center of Catalonia, being near three of the main cities of the region: Barcelona, Manresa, and Terrassa. That means that you will find mostly local climbers. The best month to climb is usually October (not as hot as the summer), and most of the climbers choose the south section, in areas such as Vermell del Xincarró, el Clot del Boixar or L’Agulla del Senglar.